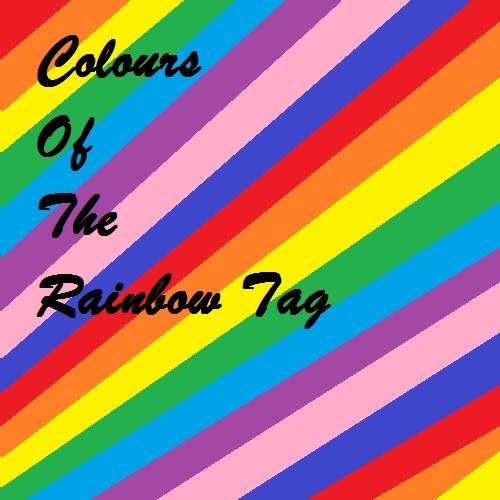 I have been loving reading and watching the colours of the rainbow tag recently that I thought I would do one myself. 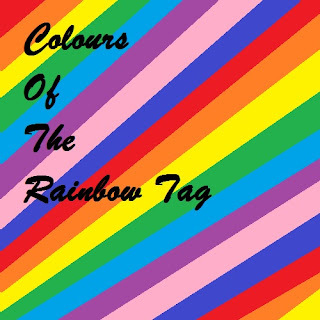 In case you don't know what this tag is, it is when you show different beauty products that are from the different colours of the rainbow. In case you don't know the colours, I'll list them below. I chose my new favourite lip butter from Revlon. It is Wild Watermelon which was one of the new shades released this year. It is a gorgeous red that isn't too bright and is perfect for spring/summer. I chose the Neal's Yard Remedies hand cream. I love this hand cream as it is moisturising and smells of sweets. I also like that this brand uses organic ingredients. 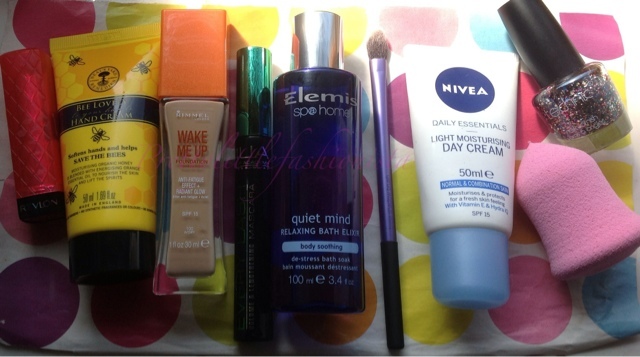 I chose my favourite foundation, the Rimmel Wake Me Up. I love how this foundation looks on my skin. It looks really dewy and really wakes up my skin. 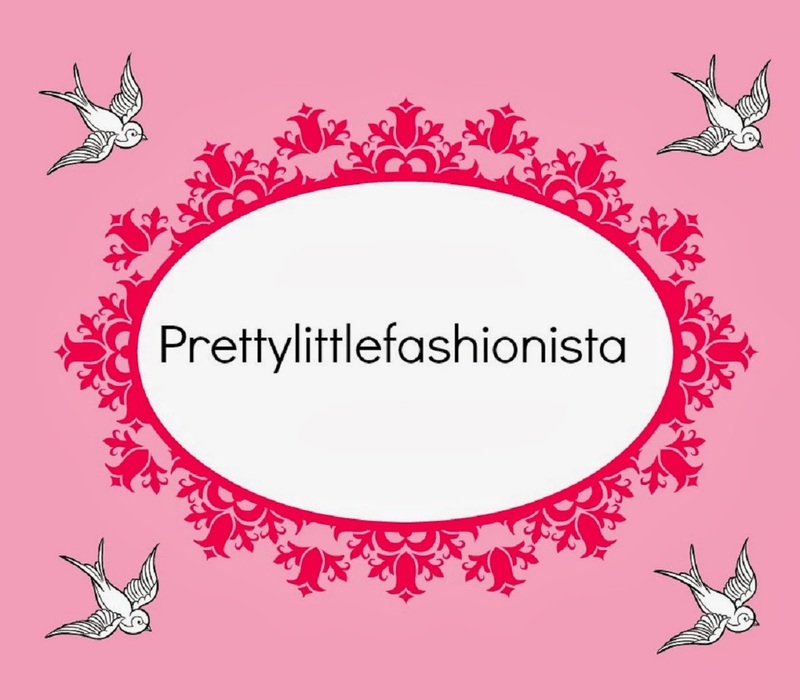 I chose the MUA Every Lash Mascara, I really like this mascara as it volumises and lengthens. It gets product on each lash and it doesn't clump. I chose my current favourite bath product. It is the Elemis Relaxing Bath Elixir. Thus smells really nice and is so relaxing to have in the bath. I love the Real Techniques Base Shadow Brush. I use this everyday, it is great for adding colour to your lid and crease. You can also use it to blend colours as well. I picked my current moisturiser which is the Nivea Daily Essentials Day Cream. This is so moisturising and I love using it. This is a recent purchase but I love it already. It is a dupe for the Beauty Blender and I got it from H&M for £1.99. It makes my foundation look flawless when I use it. I picked one of my favourite top coats. It is Carnival from Technic. It is a glitter top coat which is multicoloured. You can see it in some of my NOTDs which you can see here and here. I hope you enjoyed this tag. I tag all of you to do it as well. If you do this tag let me know as I'd love to read it.